Life is Strange is, at its core, a tale of two best friends in a world where everything and everyone seems to be going against them. It’s a well-developed, if a bit flawed, look at teenage friendship, peer pressure and the many consequences a stressed environment has on the maturing of a young adult. Teenage protagonists, particularly through the lens of teens finding their way in a confusing time in their lives, are a rare occurrence in gaming. LiS depicts Max and Chloe as 18 year olds, teens teetering on adulthood. Rekindling a lost friendship through the course of increasingly disturbing events, the pair have to make up for years of lost time, while simultaneously having to deal with external problems. The death of Chloe’s dad, her subsequent rebelliousness, particularly against her step-dad (or step-douche, as she calls him) has turned her into what would at first glance, seem to be your archetypal anarchist punk. However, as her relationship with Max normalizes, it’s evident that she still very much a fumbling teen. She’s been through a lot, and that’s affected her relationships adversely. Her bad choices, so to speak, crop up in various instances throughout the game, e.g. her dangerous equation with the drug dealing Frank Bowers or the psychotic Nathan. They have larger consequences, and make her a critical cog in the end-game. It’s important to note though, that these are the failings of a volatile teen. The game does a great job of revealing her carefree side, tempered by a sincere love for her friends – the only real people in her life. Max, on the other hand is a quiet, rather naive teen who’s a misfit at school, and an idealist at heart; until she finds herself seriously out of her depth thanks to her new time-reversal powers. Thankfully, the game doesn’t instantaneously turn her into a superhero. Max is learning throughout the game, right till the very end. Often unaware of the immense consequences her decisions may have, her choices are informed by a desire to help those closest to her, but by the climax, it’s evident that this comes at a cost, one that might seem impossible to pay. As the player-controlled character, then, Max’s victories and failings are your own. And as someone in the same age bracket as her, I felt particularly invested in every dialogue Max spoke, and every choice she made. Reflecting the player’s beliefs is an aspect many narrative-driven games attempt in various degrees, but I felt Life Is Strange accomplished much in this regard. 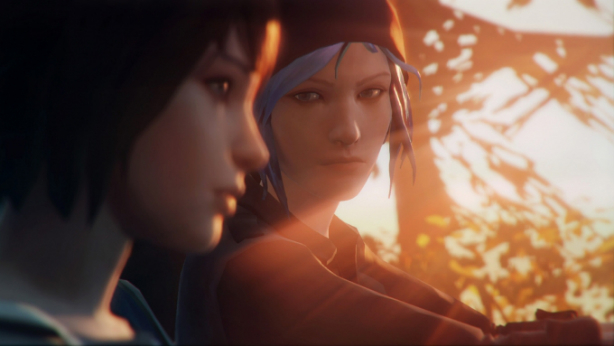 On the whole, I don’t think the events of Life Is Strange helped the central characters of Max and Chloe grow, as much as reshape their worldview. It isn’t entirely obvious if that’s for the best, but such ambiguity is reflective of any teenager’s life. I applaud the makers of Life Is Strange for addressing the mindsets of teenage protagonists in a pretty comprehensive manner, and I hope more developers take up this mantle and introduce more, younger protagonists with further nuanced perspectives.